Bug 1067788 - Part 4: Fix test_bug496275.html and bug646382-*.html. Add setCaretBidiLevel to Selection. Bug 1067788 - Part 5: Fix for parts of test_bug496275.html. 2) Position the caret visually between "א" and "a"
Simon, is it okay if I take this? I think it was Bug 1048752. But don't worry, there's only 39 patch files I have to go through to try to find the problem. Ah. Thanks, Simon. I've been looking in the wrong place. Okay, there are going to be multiple patches on this one, Simon. This is the core of the problem. As you know, when a character is deleted, the bidi level of the caret should be set to the bidi level of the removed character. That was happening, but then some code in nsTextFrame::AdjustOffsetsForBidi() was unsetting the caret bidi level. I've moved that code to a place where it makes more sense, and where it won't happen at the wrong time. This patch fixes a couple of problems with the positioning of the caret in bidi contexts. * Firstly, the bidi-related code in nsCaret::GetCaretFrameForNodeOffset() needs to be executed whenever the text is bidi, not just when the bidi.browser.ui pref is set. * Secondly, nsFrameSelection::MoveCaret() was resetting the caret bidi level to the paragraph default after a Home (start of line) or End (end of line) caret movement. There's no reason for that, and it was interfering with the correct positioning of the caret at the start or end of a line. These problems aren't specifically related to deleting characters (they are broader than that), but they need to be fixed in order for the previous patch to be effective. Like interlinePosition, I've made the caretBidiLevel attribute ChromeOnly, so it's not exposed to the public, and hopefully won't need to be reviewed by a committee. And now we have to talk about test_reftests_with_caret.html. I figured out that the timeouts are caused by exceptions in multi-range-user-select.html, caused by out-of-bounds indicies. * Amends test_reftests_with_caret.html so that a timeout does not abort the rest of the subtests. * Update the subtests to match the changes in my previous patches. Essentially this looks good. I was afraid that it would regress bug 664087 (which it more or less reverts) but AFAICT it doesn't. Maybe because of the various caret refactorings that have happened since then. You do need to patch nsHTMLEditRules.cpp as well as nsTextEditRules.cpp, though. I don't really like having two consecutive switch statements on the same field. What do you think about putting the UndefineCaretBidiLevel into a helper method (which would also have the advantage that you wouldn't have to duplicate the code in nsHTMLEditRules) and calling it from both cases in the existing switch? Can you make this test |theFrame->PresContext()->BidiEnabled()| instead? I think that will be more stable. It's also (mutatis mutandis) what it did before bug 418513, which probably should have left this line alone. What use case are you fixing here? This feels like the kind of change which will fix some things and break others. This might be better as a separate bug. I think Ehsan should review this. > you make this test |theFrame->PresContext()->BidiEnabled()| instead? > What use case are you fixing here? This is an issue that affects test_bug646382.html and test_496275.html. You know, although I think it's the right thing to do, I'm going to move it to a different patch, where its purpose will be more apparent. > Please revert this line, since one timeout aborting the test is intentional. You r+'d this before, but I've added a little more stuff to this patch, so it needs to be reviewed again. The only tests that need to be updated are test_bug496275.html, bug646382-1.html, and bug646382-2.html. This patch contains all the necessary fixes. 1) Changes to the test files themselves. 3) A change to nsFrameSelection::MoveCaret(). This is necessary for all three tests. Now, you expressed concern about this change to nsFrameSelection::MoveCaret() before, and you were right. I had it wrong before. But I've fixed it now. The change affects the situation where the user uses the Home (or End) key on a line that begins (or ends) with text that is opposite the paragraph's normal direction. For example, an English paragraph that says: "אבגדה are the first five letters of the Hebrew alphabet." In this situation, when the user hits the Home key, nsFrameSelection::MoveCaret() is called with aAmount = eSelectBeginLine. The method then calls nsFrame::PeekOffset() with the appropriate parameters, which returns the *logical* position which corresponds to the visual start of the line. (In our example above, it would be 5.) This logical position is used to position the caret. However, this logical position corresponds to two visual positions. The caret will only appear in the correct visual position if the caret bidi level is set to the same bidi level as the frame at the start of the line. Right now it's being set to the paragraph bidi level, which isn't always the same thing. We already have the frame at the start of the line, thanks to GetFrameForNodeLevel() (which uses the logical position and the "caret association hint" returned by PeekOffset()). My patch sets the caret bidi level to the embedding level of this frame. > This might be better as a separate bug. You know what? On second thoughts, I think you're right. I should have split that off into a different bug. I'm gonna do that. I've cancelled the relevant review. Sorry, Simon. I tried to split this off into a new bug, but I can't do it. It leads to mutual dependency between the two bugs where I can't land without the other (at least, not without breaking tests). Hey Carsten. No prob. It just needed a slight rebase. The caret would move in confusing ways in bidi text. Attachment #8613899 - Flags: approval-mozilla-b2g37? Attachment #8612376 - Flags: approval-mozilla-b2g37? Attachment #8612378 - Flags: approval-mozilla-b2g37? Attachment #8609193 - Flags: approval-mozilla-b2g37? Attachment #8613208 - Flags: approval-mozilla-b2g37? Ted on the latest Nightly Flame build I'm seeing some odd behavior that I'm not sure is intended. When attempting to copy אבגabc into a text field (or make similar text on my own), the phone always relocates the ltr text (abc) to the left of the RTL text (אבג). Hi Jayme. I think that's fine. In both cases, the Hebrew text appears before the Latin text. In an LTR field, that means the Hebrew text is on the left. In an RTL field, that means the Hebrew text is on the right. It might seem confusing, but in the context of an actual Bidi sentence, it's usually clear what's happening. In that case using the build from comment 42 I can mark this as verified fixed on Master. Leaving the verifyme keyword so that this can be checked in 2.2 later by myself or someone else. Actual Results: The character to the left of the text caret is deleted when pressing the delete button. 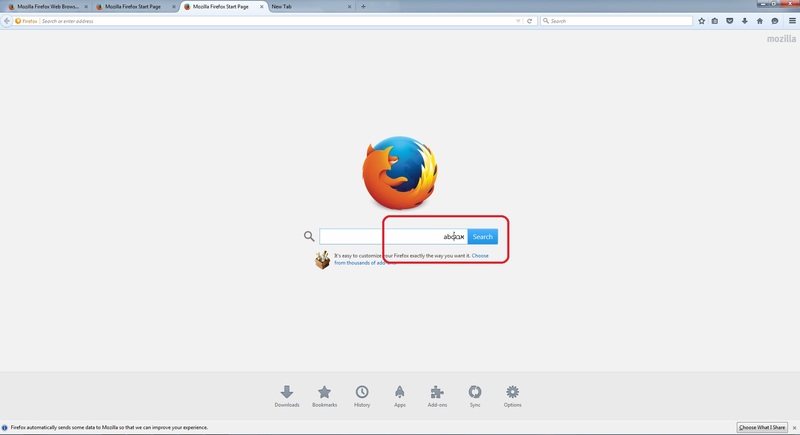 I was able to reproduce this issue on Firefox 41.0a1 (2015-05-28) using Windows 7 64-bit. 1.Placing the caret between the Latin letters and right-to-left letters using the mouse. - Pressing backspace, the cursor moves to the left of the line and the right-to-left letters are deleted one by one. The Latin letters are not erased. Are these the expected results? I obtained these results when I pasted the example from Description in location bar and search bar (near location bar). The RTL characters are reversed with LTR characters and the word is displayed as in a RTL build. In this case, the caret is automatically place between those 2 types of characters and pressing backspace button deletes all the letters. This behaviour does not occur in a right-to-left build, where “ אבגabc “ word is placed from right to left in all 4 cases: location bar, search bar (near location bar), search bar from about:newtab page and search bar from about:home page. Ted, could you explain me which of these results are the right ones and if is there some issue that need to be filed. Long story short, everything is fine. >  1.Placing the caret between the Latin letters and right-to-left letters using the mouse. This happens when you click closer to the Hebrew letters than the Latin letters, or if you position the cursor using the right arrow key. (You'll see a difference in the direction the cursor faces.) Yes, it's fine. > deleted one by one. The Latin letters are not erased. > The RTL characters are reversed with LTR characters and the word is displayed as in a RTL build. Hmmm. It does seem a bit odd that it doesn't behave the same as LTR builds. I don't know if this was a deliberate styling choice or an oversight. It may have been deliberate, since you can change the directionality of the search bar from the context menu in an RTL build. In any case, it's a UX issue, not related to this bug. Verified again on Firefox 41 (20150916203902) under Windows 7 64-bit and Ubuntu 14.04 32-bit. Marking this bug as Verified since the other issue is tracked separately.